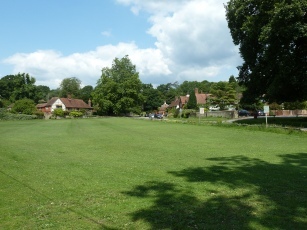 The Fernhurst Society was formed in 1998 and has 200 members. It is a registered UK charity (no. 1074564). Researching your family history? We have unique transcripts of 1841-1911 censuses, 1840s tithe records of Fernhurst and neighbouring parishes, wills and probate records, and other data. Now with a complete names index - a rich resource for genealogy! 50th anniversary of the Blackdown air disaster: On Sat/Sun 4-5 Nov 2017 the Society organised an exhibition and memorial service to commemorate the 1967 crash of the Iberia Airlines Caravelle into the slopes of Blackdown. Do you have more information on the 1967 crash? Fernhurst Neighbourhood Plan 2013-2028: The final version was formally adopted in April 2016: www.fernhurstpc.org.uk/fnp-referendumdoc. Background: 1999 Fernhurst Village Design Statement. Plans for oil and gas well near Fernhurst village centre. 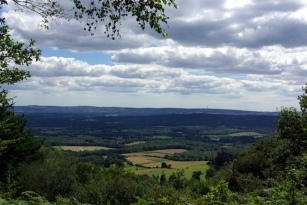 Celtique Energie's planning application (planning ref: SDNP/13/05896/CM) for an exploration well was rejected in 2014 by the South Downs National Park authorities. Plans by Celtique Energie to appeal were abandoned. our programme of walks, talks, exhibitions and other events, including those organised for our Junior Section. links to local organisations and information sources, including family history and genealogy. 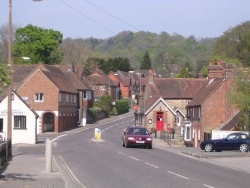 The Society arose out of the work undertaken by villagers to produce the Fernhurst Village Design Statement. Adopted by Chichester District Council in 2000, the Statement provides guidelines for future building developments in the area.